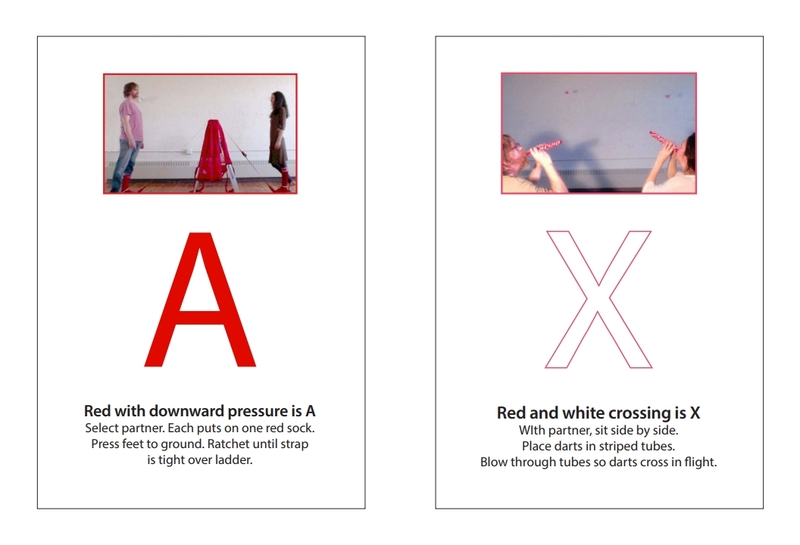 Choreography of Objects expresses cross-sensorial experiences as a normative part of everyday life. 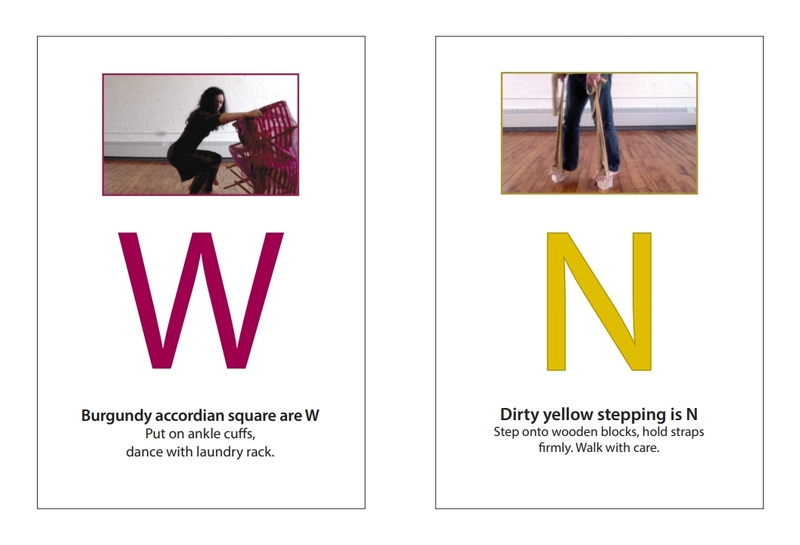 Participatory performances of letters and words allow for objects and bodies to conjoin in a celebration of layered abstractions that the synaesthete negotiates daily. The somewhat rare colored grapheme condition represents a ‘perceived oddity’ in the project and becomes the nexus for collective enrichment. Here we may enjoy and value meaningful gestures outside our own fluency, sharing in translational acts with another’s language and perception. 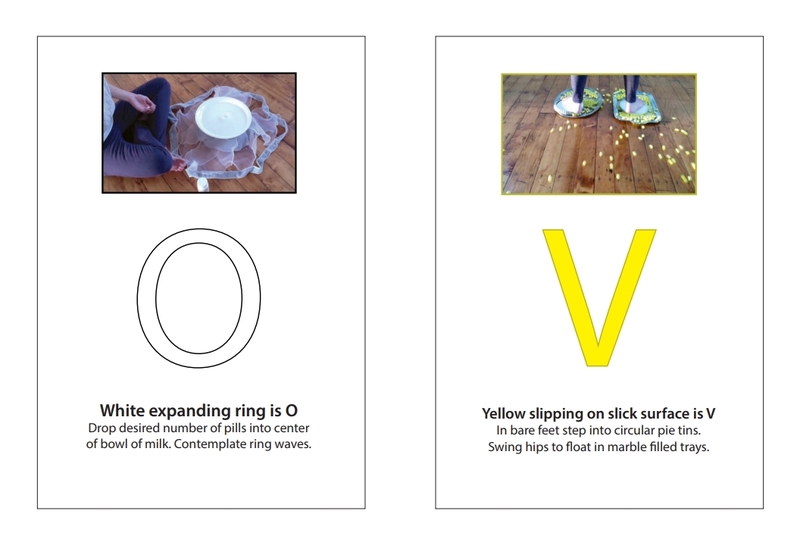 This project received support from The Rhode Island School of Design, Bauhaus University, PANKE Club, the society for the Anthropology of Consciousness and MOBIUS, a non profit, artist-run organization, whose mission is to generate, shape and test experimental art. Installation of performance objects, letters A through Z. Approximating my synaesthetic experience of each letter through a collaborative repurposing of everyday objects. 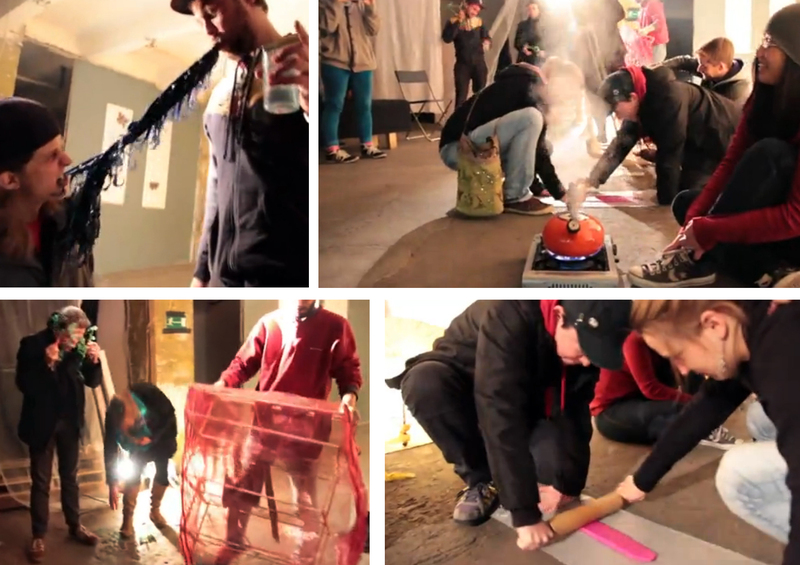 Performance stills, MOBIUS, Cambridge, MA. Performance stills, PANKE: A Stream of Ideas, Wedding, Germany. Participatory performances at The Society for the Anthropology of Consciousness Conference, New Orleans, LA. 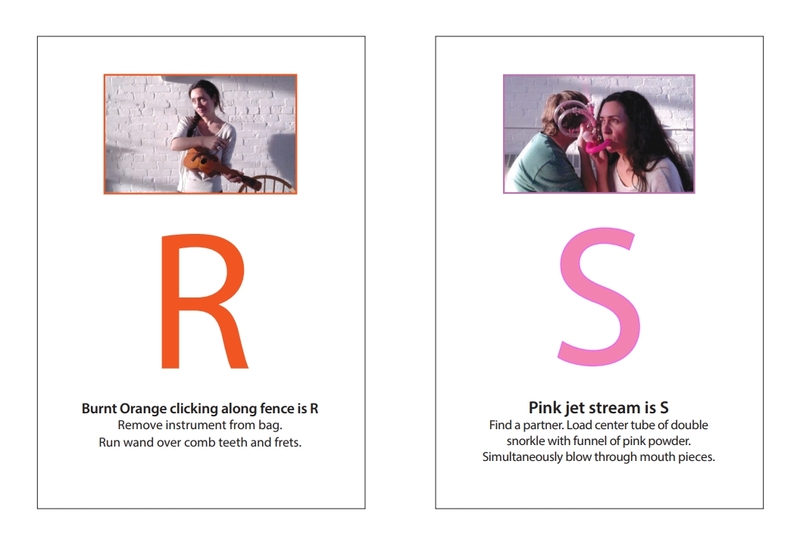 Performances of the letter H and R (from left to right). 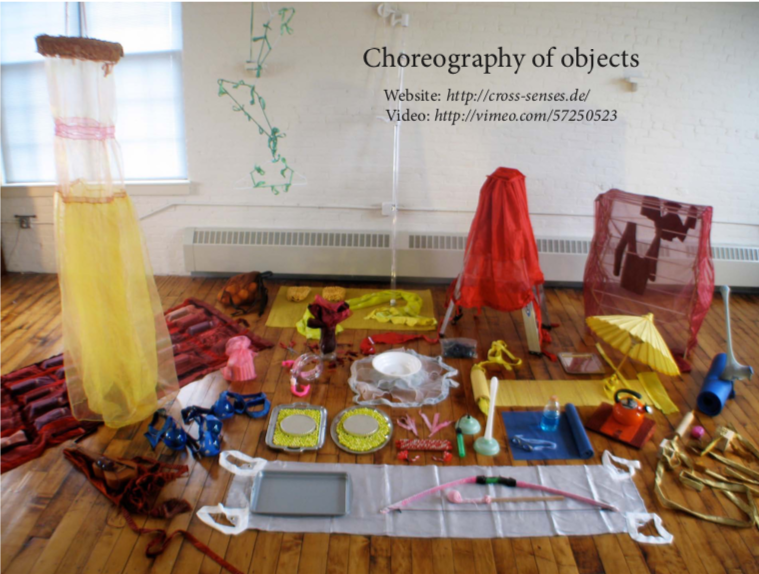 Choreography of Objects video selection of video performances. Prepared for the Kalopsia Collective, “Contextiles-isation ” – Performance Textiles, Edinburgh, Scotland. A selection of instructions placed before the objects during the performance. 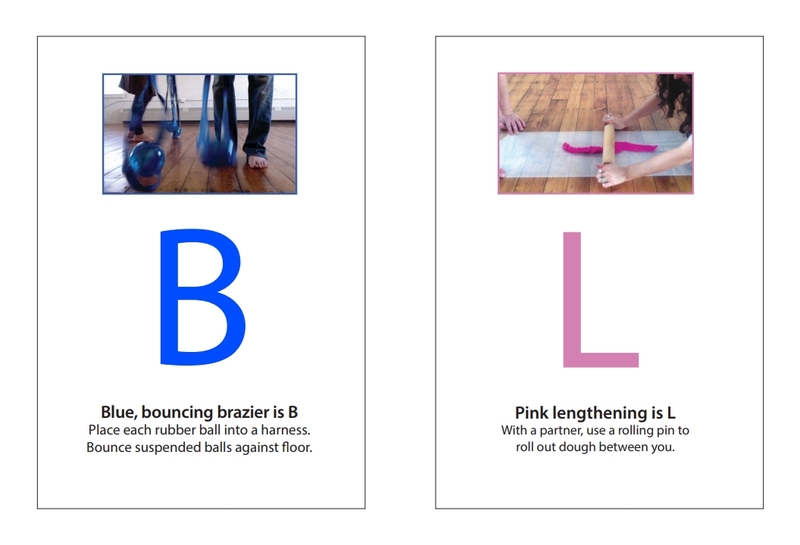 Participants are guided through an interaction with each object through instruction cards. A selection of cards below.